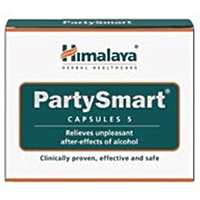 Himalaya PartySmart Capsules are a pretty effective effective hangover cure, especially considering their low price. They don’t taste or smell like anything, so they’re easy to use. You ONLY need to take one capsule before your first alcoholic beverage. Taking 1 capsule before I start drinking is incredibly easy to remember and doesn’t interfere with my night. Unfortunately, the capsules don’t have a money back guarantee. Overall, I really liked that PartySmart had no side effects, were extremely simple to use, and offered phenomenal results. The capsules don’t smell or taste like anything. I love that they don’t really have any taste because it makes them very easy to take. I was pleasantly surprised when I woke up the next morning. 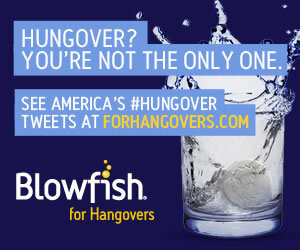 I can’t say that I felt 100%, but I didn’t have any major hangover symptoms. I woke up feeling tired and hungry, but no headache, stomachache, dizziness, or nausea. Himalaya PartySmart contains mainly herbal extracts. For example, it contains Kasani extract, which is also known as Chicory. Chicory is believed to exhibit anti-inflammatory activity. It also has Kharjura extract (Date Extract) which supposedly posses strong antioxidant property which helps relieve the hangover. After using this product, all I can say is that I woke up feeling great after taking one of the herbal capsules. On the plus side, I didn’t experience any side effects from this product! Himalaya PartySmart Capsules costs $5.00 for a package of 5 capsules. That works out to $1.00 per serving. That’s extremely affordable compared to most hangover cures! Himalaya PartySmart does not come with any sort of guarantee.